The most popular messaging app WhatsApp now has a fully functional desktop app – both for Mac as well as Windows platform. Facebook-owned WhatsApp messaging software has been a mobile-only messaging platform forever, but from Tuesday, the company is offering you its desktop application for both Windows and OS X. Since WhatsApp desktop app is native for both Windows and OS X platform, it can support desktop notifications and keyboard shortcuts. WhatsApp has been rising at an extraordinary pace recently. The service has over 1 Billion monthly active users. At the beginning of the year, the company removed its yearly $1 subscription fee. Just last month, the company rolled out end-to-end encryption for all its users’ communication by default. Users running Windows 8 (or newer) or OS X 10.9 (or newer) can download WhatsApp desktop app available for direct downloading. Once Downloaded, open the WhatsApp desktop app. Scan the QR code with your mobile phone to Sync your device. 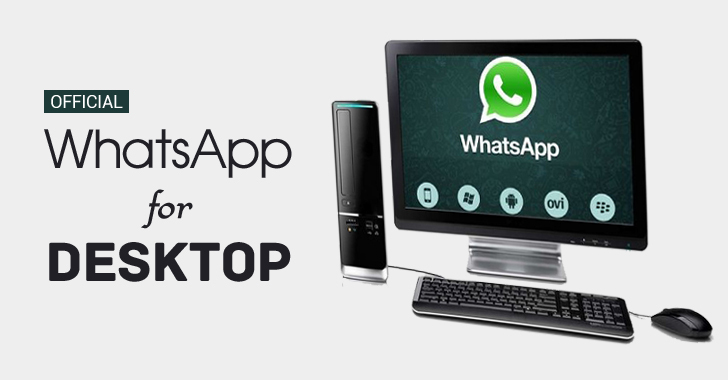 Now enjoy WhatsApping your friends and family straight from your desktop.